Rt.# 33E to Clay Bottom School Rd. to Cotton Patch Rd. to Crisp Landing Rd. Since this was an unusual heavy snow for south coastal area of NC. I took several photos. 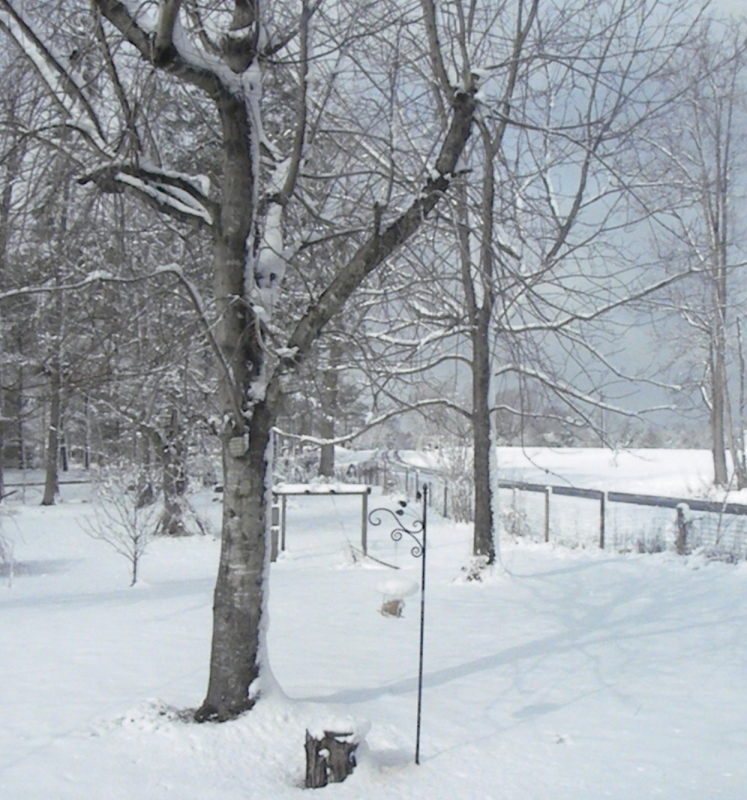 My backyard with our bird feeder.